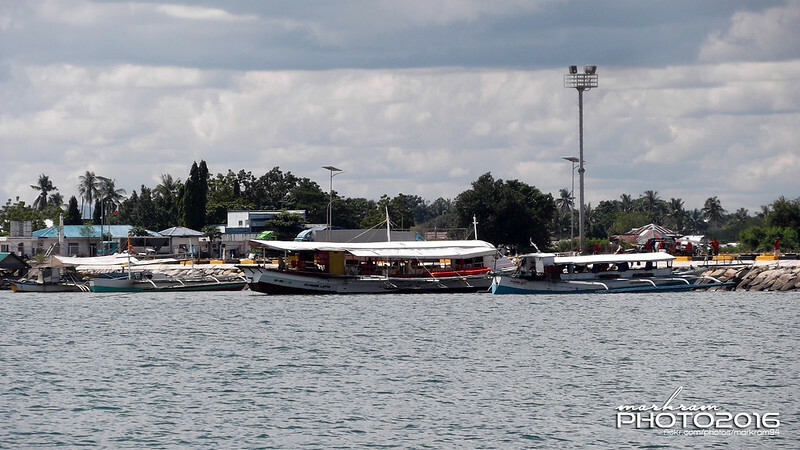 The Aleson Shipping Lines of Zamboanga City has 4 basic, short-distance ferry-ROROs, their Ciara Joie series which consists of the Ciara Joie, Ciara Joie 2, Ciara Joie 3 and Ciara Joie 5. Of course, their numbering reflects the order of their arrival in the country. 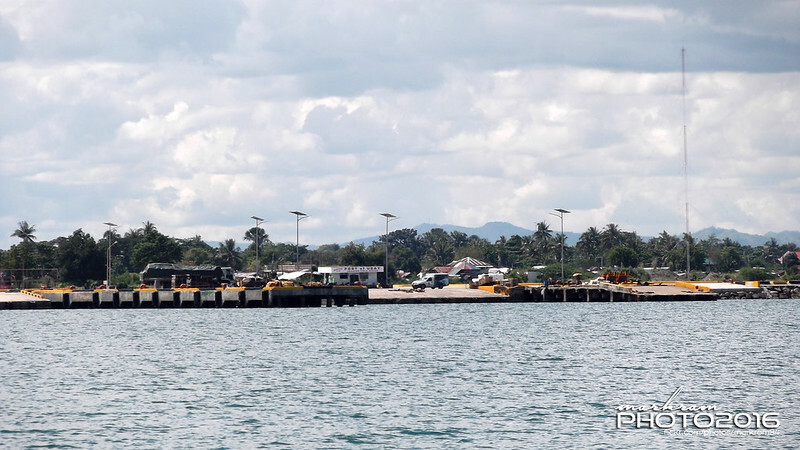 These basic, short-distance ferry-ROROs of Aleson Shipping are used in their Zamboanga-Lamitan, Dapitan-Dumaguete and Dumaguete-Siquijor routes and they rotate among these three. The first and the third are really short routes while the Dapitan-Dumaguete route is almost the distance of an overnight ferry. 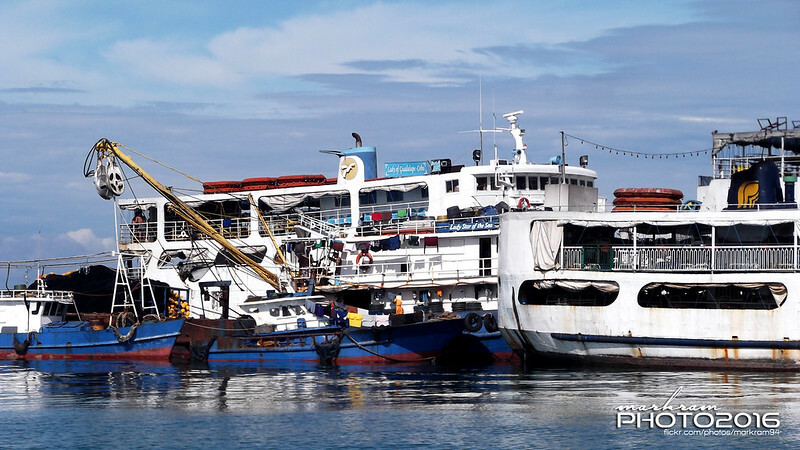 The routes of Aleson Shipping from Dumaguete reflects their successful foray outside Zamboanga in the 2000’s after their failed expansion in the 1990’s and the Ciara Joie series is one factor responsible for that. The first ship in the series, the Ciara Joie of Aleson Shipping came in 2007. She was the former Kamagiri No. 3 in Japan and was built by Imamura Shipbuilding Company in Kure, Japan in 1979. She possesses the IMO Number 7824778 and her Call Sign is DUJ2242. The ship only has a single a single passenger deck, a single car deck with a single car ramp at the bow, a single engine and screw (propeller), the common characteristics of the quintessential simple design of a basic, short-distance ferry-RORO. Ciara Joie‘s external measurements is a Length of 38.2 meters with a Beam of 8.6 meters and a Depth of 3.0 meters. Her Gross Tonnage (GT) is 235 while her Net Tonnage (NT) is 139. She has a passenger capacity of 239 persons all accommodated in benches. This ship is powered by a single Daihatsu engine of 900 horsepower and her sustained top speed when still new was 10.5 knots. Amazingly for a ship of her type and her Date of Build she already possesses the modern bulbous bow. Meanwhile, the Ciara Joie 2 arrived in 2012 and she was the former Kamagiri No. 7 in Japan. Actually, she is the sister ship of Ciara Joie, the reason the two looks much alike. The ship was also built by Imamura Shipbuilding in Kure, Japan in 1982. She has the IMO Number 8216966. She also just have one passenger deck, one car deck, a single ramp, one engine and one propeller. The Ciara Joie 2 measures 36.1 meters by 8.7 meters by 2.9 meters and her Gross Tonnage is 198. However, her declared Net Tonnage is only 100 but her declared passenger capacity is 236, all in benches too. She also has a bulbous stem and she is powered by a Daihatsu engine of only 750 horsepower and so her top speed when still new was only 10 knots, sustained. Like the Ciara Joie, she has only one mast. The Ciara Joie 3 arrived in the country in 2014 and she was the former Ferry Yumutsu of the Miyako Ferry K.K. in Japan. She is not a sister ship of the first two and she was built by a different shipyard, the Izutsu Zosensho in Nagasaki, Japan in 1995 and so she is more modern than the first two ferries of the series. This ship has the IMO Number 9118862. She also has the usual characteristics of a basic short-distance ferry-RORO in terms of decks, ramps, engine and propeller as in they are all single. The ship’s external measurements are 37.0 meters by 9.5 meters. Her gross size in GT is 191 (this has no unit). She has a declared DWT of only 30 tons which looks improbable because if that is true then she can only carry 2 trucks at most. Basic, short-distance ferry-ROROs usually have a design speed on 10 to 11 knots as they were meant to bridge short sea crossings only. The last to arrive for Aleson Shipping was the Ciara Joie 5 and in the series she is the one which looks most impressive and modern. The ferry also arrived in 2014 and she was the former Kofuji No. 8 in Japan in 1987 and so she is an elder ship compared to Ciara Joie 3. Her IMO Number is 8615734 and she was also built by Imamura Shipbuilding in Kure, Japan. She also has just one passenger deck, one car deck, one ramp at the bow, a single engine and single propeller. The ship has an LOA of 36.3 meters, Breadth of 10.0 meters and Depth of 3.0 meters and her Gross Tonnage is 264. So she is the biggest of the four in the Ciara Joie series and this ship still has a separate air-conditioned accommodation. This ferry is powered by a single Niigata engine of 1,000 horsepower and the sustained top speed is 11 knots. In the main, like other basic, short-distance ferry-ROROs, the loading capacity of the four Ciara Joie ships is only 6 trucks but if a truck or trailer is loaded with container van it can still be shoehorned in. If there are smaller vehicles the total that can be loaded increases. All the ferries in the Ciara Joie series are still very reliable and all are proving valuable for Aleson Shipping. They might look puny but basic, short-distance ferry-ROROs are actually important in the short routes and they can sail profitably even though the traffic in the route is not that great. For a long time to come these four will still be fit for the Zamboanga to Basilan routes and the route from Dumaguete to Siquijor. Note: Just this month (May 2017) another Ciara Joie ship arrived for Aleson Shipping, the Ciara Joie 7. However, that ship is not a basic, short-distance ferry-RORO. A few months before they came here, a few in Philippine Ship Spotters Society (PSSS) already noticed them in a few ship-for-sale sites. They were sisters ships doing inland routes in China which has a great system of internal waterways based on their great rivers (which we have none). So when they finally came, it is as if the ship spotters were already “acquainted” with them so much so their specifications are already known although they have no IMO Numbers and they are not in the international maritime databases (which rely on IMO Numbers or MMSI Codes at the very least). If not for those ship-for-sale sites, the two would have been practically untraceable especially since the MARINA Database available to the public was not as good as before the fire that gutted the national office of MARINA almost a decade ago. Well, it is not even visible now as of the time of this writing and the last version was still the 2014 version with just a few fields of information. The riverboat sister ships went to two acquainted Bicol ferry companies, the Regina Shipping Lines (RSL) and 168 Shipping Lines where they were known as the Regina Calixta V and the Star Ferry 7, respectively. Lately, Star Ferry 7 is just called as Star Ferry since the first to carry that name for the company has already been sold to a shipping company doing the Manila-Cuyo route, the J.V. Serrano Shipping Lines. The external dimensions of the sisters are practically the same and ditto for the superstructure. 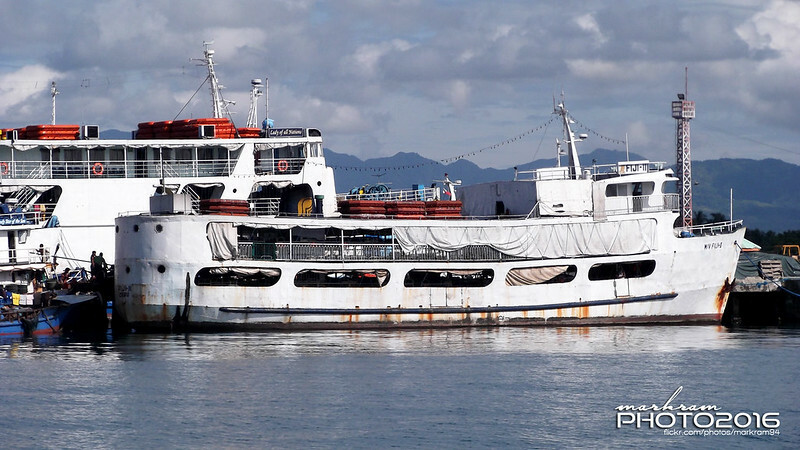 Their main difference, however, is Regina Calixta V have two engines while Star Ferry 7 is single-engined. Of course, Regina Calixta V is a little faster (her total horsepower is not double that of her sister) but her engines proved troublesome at times, hence her reliability is not that good and there are times she ends up dead in the water. Meanwhile, the single-engined Star Ferry 7 turned out to be very reliable and she was not that much down on speed against her competitors although her total horsepower to gross tonnage and length ratios are lower than all of her competitors. With a single engine (which the crew can’t identify before I told him what was its make) and China as her origin, I did not expect her to be very brave as I experienced in one of my trips aboard her on rough seas. But I was not really was not much surprised by her daring because on a previous trip with her I was able to meet her crew in the bridge and I don’t what came to my mind but I asked who is the helmsman on rough seas and the two Captains (yes, that ship has two Captains rotating on shifts) both pointed out to the Chief Mate who showed sign of assent. And I was surprised because without prompting the Captain on duty said in the presence of many bridge crew that his Chief Mate is the best helmsman in the route – the sometimes dangerous Matnog-Allen crossing in San Bernardino Strait where ship at times have to do a dogleg route so it will not be broadsided too much by the waves and the wind. I knew the Captain was not pulling my leg because he showed conviction on what he said and at the same time readable respect to his Chief Mate. 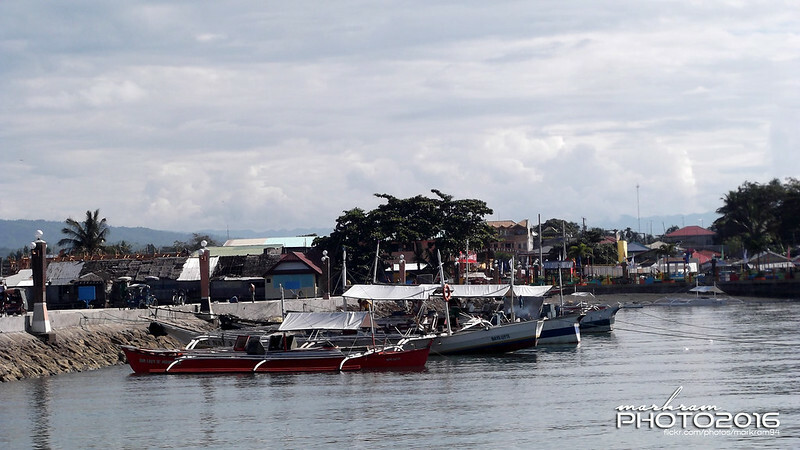 The Captain on duty did not grow in the route nor in the more turbulent Bicol waters as he is actually not a Bicolano. It was a pleasant introduction and the Captain gave me permission to roam the ship and to take pictures and I was even able to tour the engine room. It was clean, organized and I tried to note the makes of engines and equipment there, things I am seeing for the first time because I have not boarded a China-made ferry before. So even in roaming the deck I was more concentrated than usual and trying to note their difference and peculiarities. I found there was none. It is as pleasant as the rest and I would say even better-designed and the workmanship was fine. It looked more airy to me and less confined. Maybe the riverboat design was showing. Star Ferry 7 was built in 1994 and it was 2011 when she came to the Philippines. She measures 57.1 in length, 11.9 meters in breadth and 3.0 meters in depth. Those measurements say she is not a basic, short-distance ferry-RORO but of the class next bigger. Her original gross tonnage (GT) was 984 but there was a slight expansion of the roof in the upper deck and so the gross tonnage rose to 1,014 (at least they are honest). I also think they want to reach that figure because in the past 1,000gt ships in Bicol have certain privileges regarding voyage suspensions in inclement weather. The net tonnage (NT) of the ship is 344 and her passenger capacity is 400, all in sitting accommodations because she is just a short-distance ferry (but a short-distance ferry doing night voyages too and those benches, like those on her counterparts are difficult to find sleep in when the buses cross from Matnog to Allen on midnights). This ship for all its length and gross tonnage is powered by a just single engine with 600 horsepower on tap. The engine’s make is Hongyan and the design speed of the ship is 9.5 knots which is lower than the 11 knots or higher of the competition. 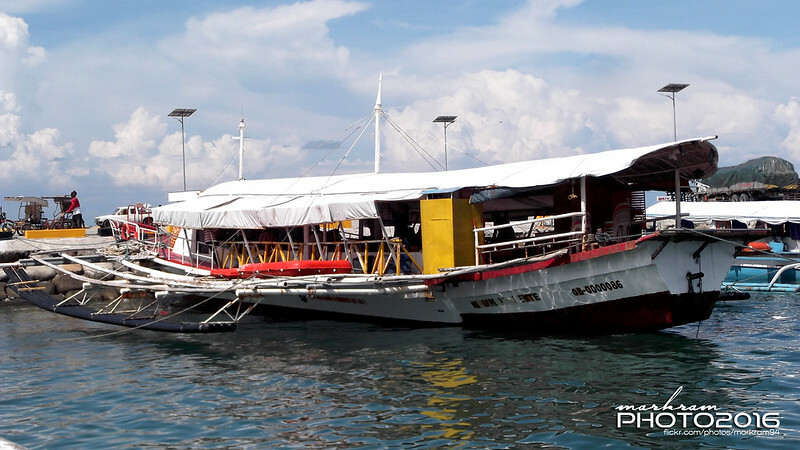 In Bicol, rare is the ship with a single engine except for Regina Shipping Lines which has basic, short-distance ferry-ROROs. What I first noticed about the ship is she has beautiful posts for the chains of her ramp and the superstructure below the bridge is a bit curved and there are visors to the bridge’s windshields. It all contributed to a more modern look along with the sides looking less slab-sided. The scantling of the ship does not extend fully to the stern and there is no box structure at the bow (they didn’t need the extra protection against rogue waves on rivers). The car deck basically can accept only two rows of trucks and sedans in the middle row. Lengthwise, 5 or 6 trucks or buses can be accommodated depending on the length. 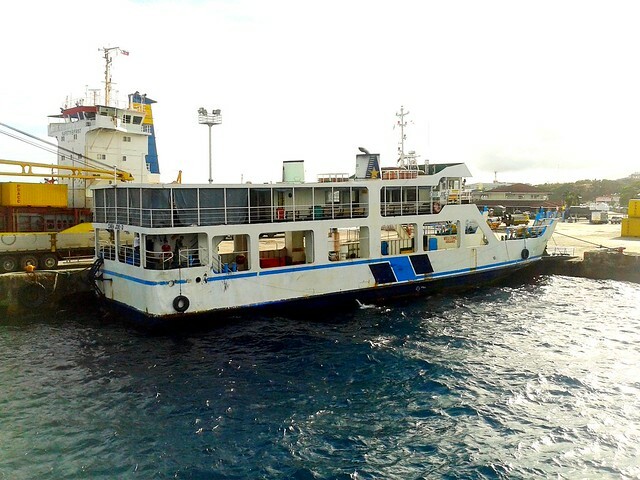 When I rode on an afternoon, a peak hour of crossing to Matnog, the ramp can’t be fully hoisted up because the deck was a little overfull and they even shoehorned trucks and buses 3 across near the bow. When that happens there is no more space for a person to move between the vehicles even sideways. But that can only be done on gentle weather and side mirrors have to be folded. My Allen-Matnog trip was uneventful, very normal, even dry except for the hospitality of the crew. But my return trip was anything but uneventful (it’s not dry, it’s not wet; it was very wet). Starting from Naga, it was already raining but not that hard. I felt lucky there were still laborers around because trying to hail a Visayas bus in Naga highway at night is very difficult. But I am amazed that the laborers can identify a bus at 250 meters even by just its lights (maybe years of observation taught them that especially since they have to be ready if that stops). Going east I noticed the rains getting heavier. I don’t know if there was a storm, we Bicolanos don’t care for that unless it is a strong typhoon (in which case preparations have to be done) and LPAs (Low Pressure Areas) are part of Bicol territory. Has been, always been so. In fact, we may have 8 classifications of rain in our vocabulary. Since I was not able to hail a bus early and the bus made a long stop-over with meal in Sorsogon City in their own rest stop, we found out in reaching Matnog port that our ferry will be the fourth one to depart that night. I did not mind as long as we don’t depart nearing dawn. The ferries depart one after another anyway after the buses and trucks start arriving and the earliest buses arrive in Matnog just past 9pm. These are the day trip buses. Buses to the Visayas generally depart Manila at day whereas Bicol buses generally depart at night since their routes are shorter and departures are timed that it will arrive in Bicol when there is light already. Meanwhile, Visayas buses generally cross San Bernardino Strait at night because they still have nearly a whole day run to their destinations. Well, the Allen-Tacloban leg alone will already take at least 6 hours and some are still bound for Maasin and San Ricardo which are another 4 hours away. I also did not mind we were a little late because I was able to board a bus I have a long history of liking, the CUL bus and our bus is not a common unit. I thought it was the usual Nissan PE6 but when I boarded I noticed the different instrument cluster. It was a Nissan PF6, a more powerful version, more respected. They seated me at the front seat and I had a long talk with the kind driver. I complimented his driving precision. It turned out he used to drive for Shell Philippines and you need driving precision to haul its rigs. He left because cellphones are not allowed (now how many times have you experienced before being told in a Shell gas station to turn off your cellphone?). After a long time in the back-up area of Matnog port, their in-charge said we will be taking Star Ferry 7 and so we boarded. The queer thing is the first three ferries ahead of us, though all already full, refused to sail. They were just anchored offshore. A Captain in the route has the discretion not to sail if he thinks the wind and swells are too strong. There is no need for PAGASA, the Coast Guard or MARINA to tell him that. If a Captain thinks the seas are too heavy he will wait until dawn when the wind will die down a little and begin to shift direction (at dawn it will shift east and thus the wind will be behind him). The passengers will initially get more sleep and then fritter that they will be arriving late but of course there is nothing that they can do. After boarding the ferry, the driver of the CUL 0040 bus invited me to just stay in the bus. It is a privilege usually not accorded to a passenger. I was grateful and this was not the first time I was extended such an invite. That means I can lie flat and sleep at the seats across the aisle (easy for me as that is a Bicolano specialty of the ages past when few ride the bus in storms). The driver will turn on the airconditioning for a while and so it is like sleeping in an airconditioned soft bunk unlike the passenger upstairs who will be trying to find sleep in all positions of discomfort and with humidity from all the people around (later my co-passengers will ask where was I as they thought I was left in Matnog because they didn’t see me upstairs). Then came the announcement we will be the first to sail. The driver and me looked at each other. There was a little disbelief as we thought we will also wait for near-dawn. The driver nodded at me, a sign we are buddies. We will look out for each other if there was danger. The very least of that is to wake up one and/or warn if one felt there was imminent danger (well, like water sloshing on the deck or the ferry listing). I noticed from the bus windows that our ferry turned on all its lights including the two searchlights ahead. Then four able-bodied seaman in ponchos and with long flashlights took up posts on the four corners of the vessel in driving rain (I pitied them; I hope they gave them a shot or two of gin or rum). They and the searchlights were look-outs against rogue waves. All the vehicles were fully lashed and with ropes across the roofs. There were chocks, front and back, on all wheels. All were protection against vehicles moving or sliding in case a rogue wave strikes. If there is one that will hit the ship and move the vehicles, we will list and that could be the beginning of a terrifying goodbye. The searchlights are needed so the helmsman will be able to read and time the swells. I can picture him, the Chief Mate – big man, big torso which muscles as if conditioned by gym training, heavy boots (he told me he needs that for footing), very good stance as if he can simply whirl the helm if needed. I can also imagine him demanding that the windshields be polished dry (or maybe like the driver of CUL 40 he has shampoo and cigarette leaves for the windshield) and commanding reports from the look-outs on the side of the bridge wings. I told the driver of CUL 0040 that we have the best helmsman in San Bernardino Strait. That seemed to reassure him a little. Soon we were asleep, no more small talk. No need to keep awake, we will not be of any help in keeping the ship more safe and if there is an emergency we will need the extra strength. But I am always awakened. The ship at times fall about by more than a meter and we can feel in our body (so that means the difference of the crest and the trough of the swell might be some five feet). Sometimes it feels the ship suddenly stopped. Timing the swells and we are pushed back ( orwas the propeller nearly sticking out of the water?). At times the direction of the ship seems to change suddenly and we will twist and the hull will creak. I will look out of the bus window. The look-out near us was still there, immobile. So I know we are still safe and I will go back to sleep. The ship was merely just suffering a little from the sea. After two hours (the normal San Bernardino crossing is 1 hour, 10 minutes), I noticed looking out of the bus window that the sky was beginning to get light. The wind has died down a bit and the rocking of the ship is less. I can glean the Samar land mass in the dark. I know we were already safe although we are still at sea. The look-outs are still there. If only I can offer them coffee but I had none; maybe their teeth were already chattering from the cold. It was still raining but not as fierce as before. Soon there was the cables running and screw reversing followed by the grinding sound of the ramp against the causeway-type wharf. The docking was a little hard but I don’t blame our helmsman. Maybe his muscles are already tired and hurting from over two hours of battling the sea. I noticed our transit time took double than the usual. With that voyage my respect for Star Ferry 7, her helmsman and her bridge and engine crew increased by not only a notch. She might just be a China ship, a riverboat at that but on that night she and her helmsman simply humbled the Japan-made ships of her competitors. After the voyage, I knew in my heart and I am well-convinced that the reputation of the Chief Mate-helmsman of Star Ferry 7 was fully deserved.